Cincinnati Public Schools combines a comprehensive set of supports and high academic expectations to help its students beat the odds. Cincinnati pioneered the “community schools model,” where businesses and nonprofits provide services—such as health clinics, early learning centers and tutoring—to students and their families in school buildings. 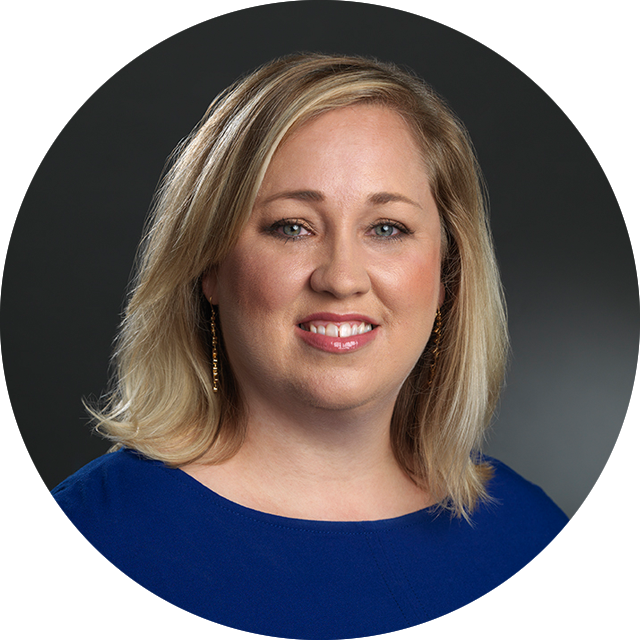 The district has also made deep investments in professional learning: Teachers can take courses on incorporating Common Core instructional shifts or using data to improve their instruction. These strategies have helped Cincinnati become the highest achieving urban school district in Ohio, and one of the few urban school systems that has narrowed graduation gaps between students of different races. This brief is part of the Districts Rising series. Each brief in the series tells the story of a school district and its efforts to raise student achievement and prepare students for college and career. The briefs describe the strategies that districts have employed to raise academic standards for students, improve educator effectiveness, and engage stakeholders in the design and implementation of new policies. Phil Gonring was the lead author of this brief. I read this article and found it very interesting, thought it might be something for you. 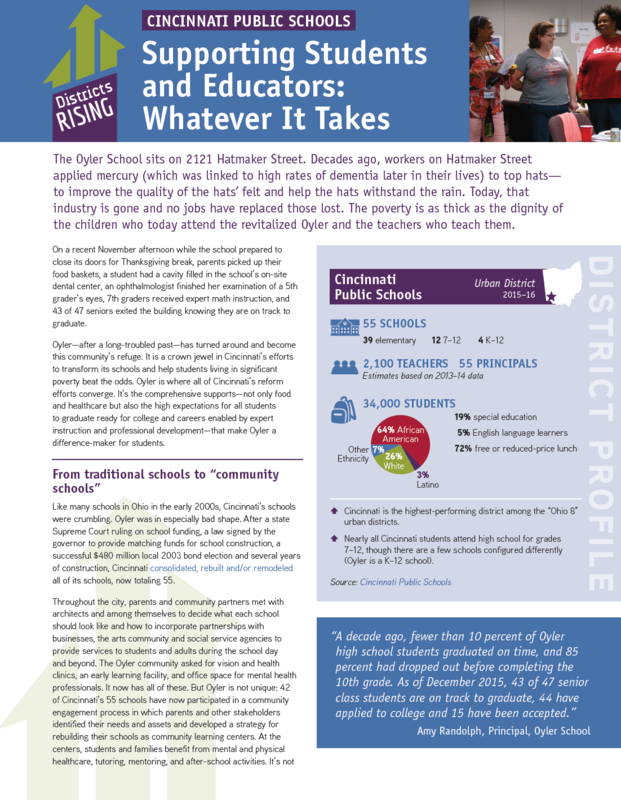 The article is called Cincinnati Public Schools: Supporting Students and Educators: Whatever It Takes and is located at https://education-first.com/library/publication/districts-rising-cincinnati-public-schools/.